Crime Free Rental Housing Conference Scheduled for July–in San Diego! If you are interested in enjoying the beautiful weather in San Diego this summer while benefiting your rental property business, consider attending the Crime Free Rental Housing Conference on July 11-13. The Crime Free Multi-Family Housing Program began in 1992 when a law enforcement officer sought a more effective and creative way to lower crime in neighborhoods with rental properties. The program involves training landlords and property managers how to spot and prevent crimes, screen tenants, and work effectively with law enforcement. Through a multi-tiered approach that includes education of landlords and property managers, and an inspection and evaluation of the premises by law enforcement, the Crime Free Multi-Housing program achieved almost instant success, with rental properties showing as much as a 96% reduction in crime and police intervention. Reduced exposure to civil liability. 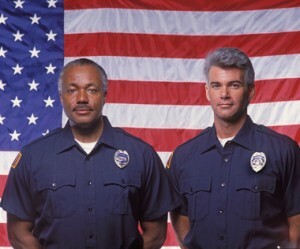 Working in conjunction with local police, landlords and property managers can reduce or eliminate property damage that occurs from abuse, retaliation, neglect, and police searches, fire resulting from drug manufacturing or grow operations, loss of rent during the eviction and repair periods, fear and frustration when dealing with dangerous and threatening residents or their guests, increased resentment and anger between neighbors and property managers, and the loss of valued residents. The program is as effective in single family rentals. This year’s conference will provide training and speakers on relevant topics including premise liability, risk assessment, legal updates including immigration laws, targeted crime prevention for drugs, advanced conflict resolution skills and more. For more information or to register, contact Samantha Scheurn with the El Cajon Police Department in San Diego at 619-579-4227, or visit the International Crime Free Association website.